Tammy Kornegay is a resident of Maryland. Her parents moved to Washington, D.C. when she was young. She has lived overseas and on the west coast also. Tammy is a self-starter and began working while she was in high school. She has lots of work experience in the Washington, D.C. area. As a director, Tammy identified and implemented business opportunities for her employer and successfully held managerial, paralegal and administrative positions as well. Tammy is energetic and brings to the table a positive approach with expertise to win. Tammy is a professional REALTOR, licensed since 2002, with Long & Foster Realtors. She has received many awards in her work life. She was awardedthe 2017 Distinguished Sales Associate of the Year for Prince George’s County Association of Realtors (PGCAR) due to her commitment to serve her peers and community. 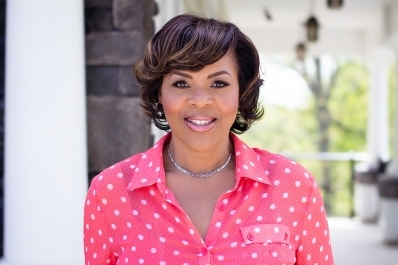 She is dedicated to helping others and as a Certified Staging Professional, she works diligently to give her clients a winning edge. Tammy is a wife and mother and likes to have fun. She loves spending time with family and friends, and she attends church locally.She also likes travelling, art, music, creating things and sharing healthy food tips. In herdesire to help others, Tammyaspires to help struggling, working families too with child care expenses. Call Tammy today! She will help you"Live Your Real Estate Dreams... Your Vision Is Her Goal!" Accepting Referrals Worldwide, Serving Maryland and Washington, D.C.
Lovely and spacious ramble with 4 bedroom and 2 baths. Fully renovated, gorgeous kitchen with exotic granite, brand new cabinets, SS appliances and office space just off the kitchen. Basement has plenty of entertainment space. New HVAC system and water heater. Walking distance to Addison Rd - Seat Pleasant Metro station. Close to 495, few minutes to DC. A must see don't miss out.